Showers this evening becoming a steady light rain overnight. Low 46F. Winds WNW at 5 to 10 mph. Chance of rain 60%. Edna Mary Rodgers passed away peacefully at home at the age of 92 on March 31, 2019. Edna’s childhood began in 1926 in pre-WWII Nottingham, England. She was one of three girls raised by her widowed mother, Daisy Tomlinson. As a teen she spent many hours in bomb shelters to survive the German blitzkrieg. After the war, her oldest sister Joan married an American paratrooper from North Platte, Nebraska. While visiting her sister in North Platte, Edna met Leslie Dale Rodgers whom she married on April 18, 1949. Dale’s work as a chemical engineer took them to Kansas City, Missouri, where their daughter Terry was born and then to Omaha, Nebraska, were their son Jeff was born. After a few years of living and working in Marietta, Georgia and Ogallala, Nebraska, the family moved to Columbus, Nebraska, where Edna and Dale lived and worked until they retired. While in Columbus, Edna worked as the activities director for a local nursing home and was so beloved by the community that she was honored as citizen of the year when she retired. After retiring, Edna and Dale briefly lived in Lander, Wyoming, until moving to Victor in 1992 to be near their daughter, four grandchildren, and eventually 11 great-grandchildren. She loved her family and was very devoted to her mother whom she brought over from England and cared for until Daisy passed away at the age of 98. Edna was a member of Saint Paul’s Episcopal Church in Hamilton and was an enthusiastic volunteer for both the church and Marcus Daily Hospital. During the last decade of her life, Edna was lovingly cared for by her son-in-law, John Harrington, who began assisting both Dale and Edna after the passing of Terry in 2009. Edna’s husband, Dale, passed away in 2012. In addition to her grandchildren and great-grandchildren, Enda is survived by her son, Jeff, who lives in Corvallis, Oregon. Everyone who met Edna fell in love with her wonderful laugh and friendly demeanor that she maintained regardless of what life brought her way. She will be missed by all who knew her. The family will be having a private celebration of Edna’s life in May. HAMILTON — Kathryn Anne Greenfield, 70, passed away Wednesday, April 3, 2019, at her home from complications of dementia. She was born December 17, 1948, in St. Louis, Missouri, the daughter of Thomas J. and Carol T. (Blasenich) Mullen. After graduation from Normandy High School in St. Louis, she attended dental assistant school and was employed in that field for several years until starting a family. On December 19, 1970, she married James Greenfield in St. Louis, and they raised two children: a son, Andy (Hannah) of Culver City, California, and a daughter Sarah (Mike) of Portland, Oregon. For several years, Kathy was the local organizer for the Missoula Childrens’ Theatre productions. 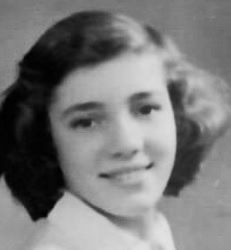 She loved theatre, musicals and dance at a very early age and could recall the names of endless stars from old Hollywood films, and nearly all of the lyrics to Neil Diamond’s songs. If she could’ve had two husbands, Neil would’ve been the other. Kathy was an artist. A lover of nature and all things brown. She adored the fall and the creative inspiration the colorful leaves brought her. From her beautifully acorn and oak leaf-adorned Christmas presents to her bead and wire work to spinning and feltng wool to her detailed sewing and natural green thumb, she was constantly and effortlessly hopping from one new project to the next. Kathy had wonderful friends with whom she would spend hours talking and laughing over a cup of tea with cream. She loved to laugh and she loved to bake. Her affection for baking has most certainly been passed down and will continue to be enjoyed for many years to come. Kathy was a wonderful wife, a loving mother and a beautiful friend. She will be missed dearly and celebrated often. In addition to her husband James and children, her grandchildren Bear Greenfield (1), Mason (4) and Adelaide Houser (2) also survive her. MISSOULA — Steve (Steve) Henry Rouse, 61, passed peacefully away at Marcus Daly Hospice Center from gastroesophageal cancer on Jan. 24, 2019, with his parents at his side. Steve was born in Bozeman on Feb. 18, 1957, to Barbara and Ralph Rouse. The family moved to Sheridan when he was 2. When Steve was 5 his father died in an airplane accident. He lived in Sheridan until age 12 when his mother remarried and they moved to Butte. He attended junior high and high school in Butte and after his junior year the family moved to Hamilton. He graduated from Hamilton High in 1975. After high school graduation he enrolled in Montana State University. College was not for him and he went to Seattle to enroll in a diving school to learn underwater welding. Unable to equalize pressure in his ears, he was forced to abandon that career. He returned to Hamilton and worked for a time at Victor School where he met Cindy Burrington in 1978. They married in 1979 and the couple and their cat Coca traveled to Laramie, Wyoming, where Steve entered Wyoming Technical Institute in auto body repair. After graduation from WYO Tech they moved to Missoula. They then moved to the Bitterroot and he worked in a garage in Darby for some time before they moved back to Missoula. He worked for several years in auto body repair. He left the auto body business and went to work in the parts department of Williams Equipment for 11 years and then on to Sun Mountain Sports for 15 years until his deteriorating health made work impossible. Steve had an active and fun childhood learning to ski at 9, camping, backpacking and hiking in the hills became his favorite pastime. He still hiked until unable to do so. Steve was preceded in death by an infant son Zachary, his birth father Ralph, his maternal grandparents Henry and Arlyle Bingham, paternal grandparents Ralph and Lila Rouse, his step-grandparents Clark and Valborg Ormiston and his faithful cat companion Jupiter. He is survived by his son Justin (Nikki) in Minnesota, his daughter Shelby in Missoula and two much loved granddaughters, Cailey, 11, of Minnesota, and Rylee, 6, of Missoula; brothers Kevin (Tracy) of Orofino, Idaho, and Scott (Dara) in Missoula. He is also survived by his parents John and Barbara Ormiston of Hamilton, two nephews and a niece in Idaho, a nephew in Portland and a niece in Missoula, a great-niece and two great-nephews in Idaho. He is also survived by his uncle Larry (Carol) Bingham in Illinois, and his former wife Cindy Miller of Turah. Steve leaves behind many friends, his love of the Seattle Seahawks and NASCAR, and his deep love of the outdoors. The family wishes to express their gratitude to Dr. Siobhan Lynch and staff at Community Cancer Care and Prevention in Missoula and Marcus Daly Hospice and staff in Hamilton for their compassionate care of Steve. As per his wishes there will be no service. Scattering of his ashes will take place by family at a later date. Memorials may be mailed to Traditional Bowhunters of Montana, PO Box 275, Boyd, MT 59013. Condolences may be left for the family at dalyleachchapel.com. —Wendell Berry quoted in New York Times and High Country News. VICTOR — Donald R. Riedeman, a longtime resident of Victor, died Sunday, April 7, 2019, peacefully at his home. Don went to work for the BN Railroad after he worked in construction as well as a car mechanic. He then went on to be a business owner in Sartell, Minnesota. Don retired and moved to Montana where he resided with his wife until his passing away. Don loved to fish, bowl, shoot pool, play cribbage, card games and he loved his dogs. He also enjoyed NASCAR and football, a true Vikings fan. Don is survived by his wife of 45 years, Susan; his children, Erica (Chad) Alberda and Derek Riedeman, all of Victor; his brothers, David (Christine) Riedeman of Minnesota; and Robert Riedeman and his children; his sister, Susan Riedeman and her daughter; grandchildren, Kelsey (Michael) Johnson, Angel Steichen, Isaac Alberda and Elijah Riedeman; great-grandchildren, Meilani and Kohen Peterson; several nieces, nephews and cousins. Don truly lived for his family, grandchildren and great-grandchildren, bringing great joy to his life. A graveside service with military honors will be held on Friday, April 12, 2019, at 11 a.m., at the Western Montana State Veterans Cemetery in Missoula. A celebration of Don’s life will be held also on Friday, April 12, 2019, at 2:30 p.m., at the Whitesitt Funeral Home. A gathering for family and friends will immediately follow the service at the Corvallis Grange. Memorial gifts may be made to Susan Riedeman. Condolences and memories may be shared with the family at www.whitesittfuneralhome.com. LINCOLN — James B. Savstrom, 70, found deceased, Wednesday, April 3, at the fishing access in Lincoln. The full obituary will be published at a later date. Brothers Mortuary and Crematory are honored to care for the loved one. Memories and condolences may be shared with the family at www.brothersmortuary.com. VICTOR — Othniel M. “Niel” Seaver, 69, of Victor, passed away Sunday, April 7, at his home of natural causes. Arrangements are under the care of the Daly-Leach Chapel.